Yes. We really do have 100 different fabric families. A fabric family is a series of the same print in a variety of colors. Some are as small as 7 or 8 different colors, while some have as many different colors are 34! 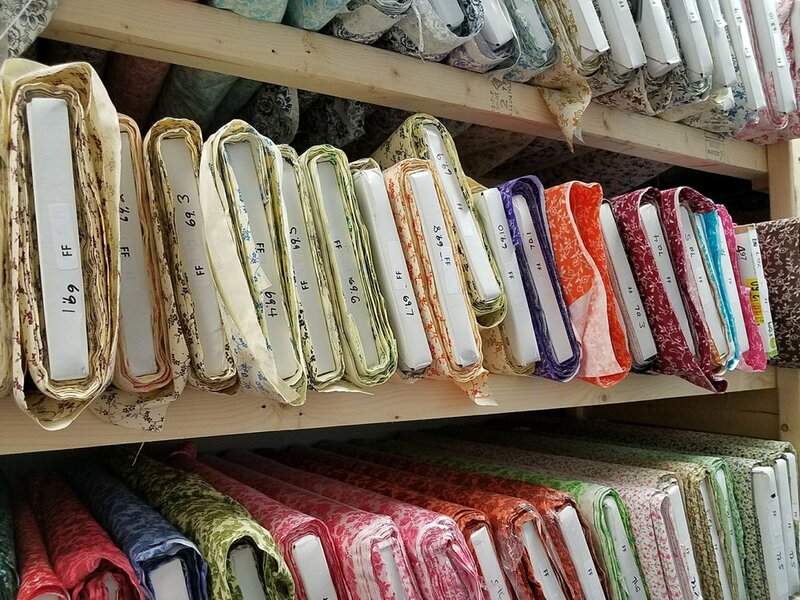 Recently here at QuiltedTwins.com, we took many hours to reset our warehouse and get all the fabric families renumbered from 1 to 100. For a complete listing of our Fabric Families, click here! However, I know many of you have just recently joined the QuiltedTwins site and haven’t had a chance to be introduced to many of our beautiful families. I thought you’d enjoy getting to see them, and, if there’s a story behind the family and the name, I thought I’d share it with you. So, here's the story behind these families! 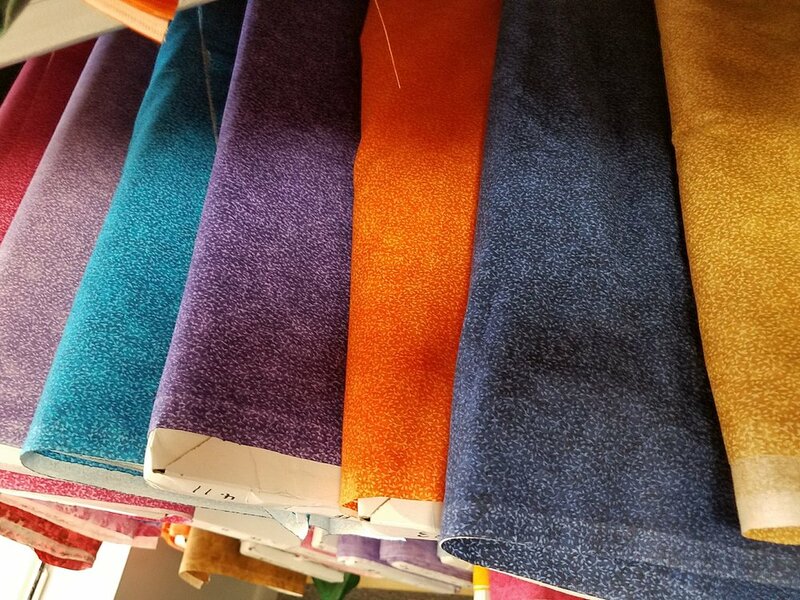 When I first started looking for fabrics to put into our store that could be re-stocked, I knew that we had to have some kind of basic blender. I found this one and after it arrived, I decided to call it Splotchy Blender. It looked like it splotches of paint spilled on it. However, even though it was more varied in color than I had originally wanted, it’s been well received, and I kept it. However, my quest for the blender fabric continued. The second I saw this fabric I fell in love with it. The huge swirls that permeated the fabric reminded me of what a can of paint looks like when it’s first being mixed. That color is swirled right in there. The fact that the fabric is tonal just creates more interest for me. We’ve had this fabric from the first time I started ordering fabric and it continues to be a super seller. I’ve always enjoyed stripes. This one is a tonal stripe, which created a great deal of interest for me. So, when we got it in, I was thrilled to see that it was far prettier in person than in the pictures shown to me. We’ve kept this one moving regularly, as well, putting it into quite a few of our original fat quarter packs. What can I say? Itsy Bitsy continues to be one of my favorites, simply because of its beauty and simplicity. The tiny flecks of color create a lot of interest, while still reading as a solid, from a distance. We’ve had multiple packs of this beautiful fabric, and they always sell out. This one was one that Becky requested. I also love it, but you can’t really see the flowers unless you back up a bit. My daughter, Sarah, doesn’t particularly like this one. I find it very, very pretty on lots of the colors and the backing fabrics are just beautiful – especially the pink one. Well, my pursuit of the perfect mottled blender fabric continued with this fabric family called Frosted Window. When I got it, it was winter here in Florida, and we had recently had a frost. I could see what looked like frost on windows in some of the fabrics, so I dubbed it “Frosted Window.” It’s probably a good thing I got this in February in Florida, else it’d be named something completely different. We usually only have about 6 or 7 days of winter here in Florida. This woven design is a favorite among all the men who shop with us. Granted, most of our customers are women, but the men always ask for me to get more of this simple design in. I get it in and it sells out as fast as I can put it up. Next time I’ll order more in. It comes in many colors, all of which look great for men’s items. When I got this, originally, I thought, “What a cool design for more things that would work for men.” Not a flower in sight. Not any sign of a leaf or branch or swirl. However, unfortunately, this line is very short, and I’m thinking it’s “fixin” to go out of availability. I think we have just two colors right now in this line. This was my first attempt to find you guys a fabric that would work with some western fabric. 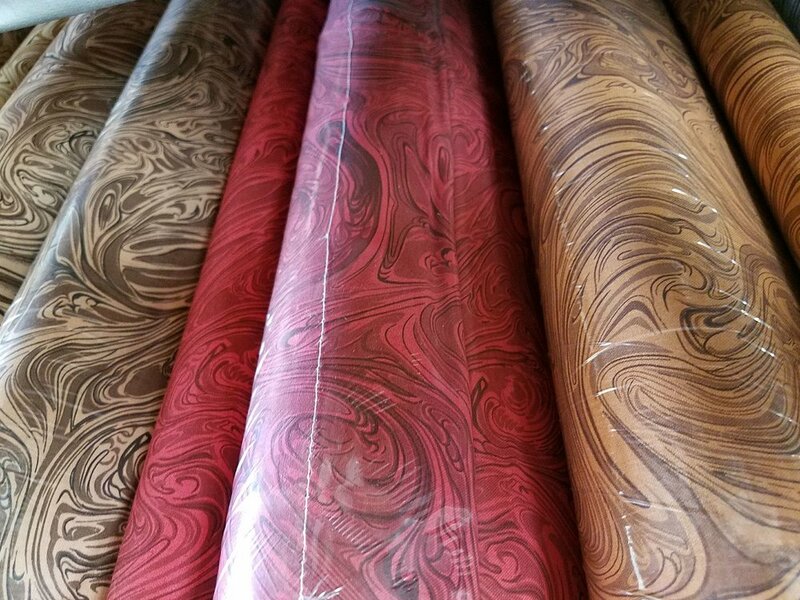 This bandana fabric is more stylized than your traditional bandana fabric, and looks super neat when mixed with our cowgirl and cowboy fabrics. 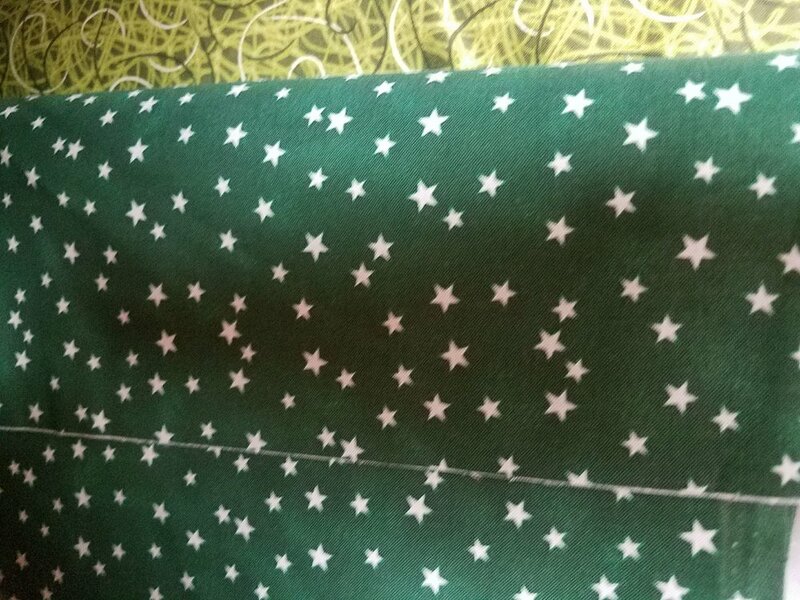 I love, love, love, love these random placements on the Random Star fabric. Sometimes when things are all lined up in rows or columns, it’s altogether too predictable. However, this is really nice. We have only a few colors right now, but we’re getting more of these in very soon. The red and blue (Patriotic) colors fly out the door for those who make the Quilts of Valor and other USA Patriotic gratitude quilts. This has been Part 1 of our Fabric Families. When we’re done, we’ll put these posts all on one page, so you can read about the explanations and why we got each family later on.